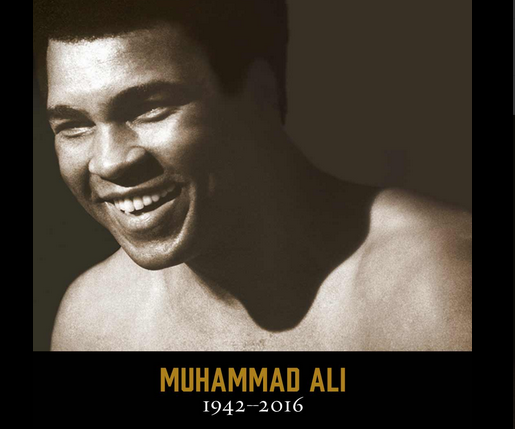 Muhammad Ali, one of the greatest sports and cultural icons in American history, died late Friday night in a Phoenix area hospital at the age of 74. He had suffered from Parkinson’s syndrome for many years. Shortly after defeating Liston, he announced he was a member of the Nation of Islam and had adopted a Muslim name. The day he was classified as eligible for the Vietnam draft in 1966, he voiced his opposition to the war. “I ain’t got no quarrel with them Vietcong,” he said. In 1967, Ali, called a traitor by many in the media, was convicted of violating the Selective Service Act, sentenced to five years in prison and fined $10,000. His boxing license was revoked, and he was stripped of his titles. While his case was appealed, Ali lectured on college campuses where he was greeted as a hero for being willing to sacrifice his income and stature in opposition to the war. On June 28, 1971, he won a unanimous decision against the Justice Department in the U.S. Supreme Court and the charges of draft evasion were dropped. Ali finished 56-5 in 21 years as a professional, including winning the famed “Thrilla in Manila” with Joe Frazier and the “Rumble in the Jungle” in Kinshasa, Zaire where he unveiled his “rope-a-dope” tactic en route to upsetting George Foreman for the heavyweight crown in 1974. Ali lit the flame at the 1996 Olympics in Atlanta and went on to receive the Presidential Medal of Freedom, the nation’s highest civilian award, from President George W. Bush, in 2005. Ali watched grandson Biaggio Ali Walsh score a pair of touchdowns in Bishop Gorman’s 70-28 victory over Reed in NIAA Division I state title game at Damonte Ranch High School in Reno on Dec. 6, 2014 in one of his final public appearances in Nevada. Check out the video below. Biaggio Ali Walsh, one of the top running back prospects for the Class of 2017, tweeted out that he is dedicating his senior season to his famous grandfather. Today, the world lost a legend.